Every moment of your waking life and whenever you dream, you have the distinct inner feeling of being “you.” When you see the warm hues of a sunrise, smell the aroma of morning coffee or mull over a new idea, you are having conscious experience. 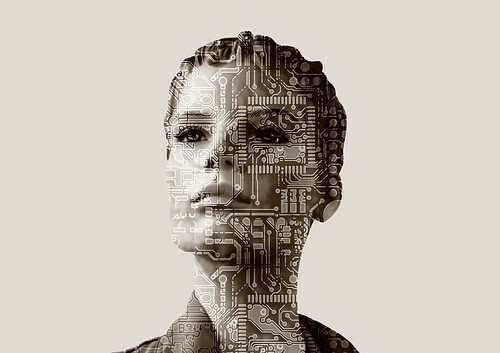 But could an artificial intelligence (AI) ever have experience, like some of the androids depicted in Westworld or the synthetic beings in Blade Runner? 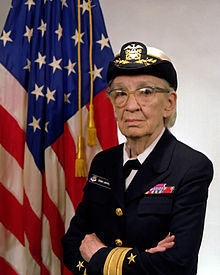 As we ponder personhood, we might recall that it was on this date in 1967 that US Navy recalled Captain Grace Murray Hopper to active duty to help develop the programming language COBOL. With a team drawn from several computer manufacturers and the Pentagon, Hopper – who had worked on the Mark I and II computers at Harvard in the 1940s – created the specifications for COBOL (COmmon Business Oriented Language) with business uses in mind. These early COBOL efforts aimed at creating easily-readable computer programs with as much machine independence as possible. A seminal computer scientist and ultimately Rear Admiral in the U.S. Navy, “Amazing Grace” (as she was known to many in her field) had invented the first compiler for a computer programming language, and appears also to have also been the first to coin the word “bug” in the context of computer science, taping into her logbook a moth which had fallen into a relay of the Harvard Mark II computer. She has both a ship (the guided-missile destroyer USS Hopper) and a super-computer (the Cray XE6 “Hopper” at NERSC) named in her honor.